Unlike traditional preschools, a Montessori preschool focuses on developing every aspect of the whole child. This includes a child’s physical development. From the enhancement of hand-eye coordination and sensorial abilities to the development of gross and fine motor skills, a Montessori preschool will make sure that each child develops the skills they will need to gain a sense of order and independence. In the Montessori preschool classroom, children participate in practical life activities, which are known to improve a child’s fine motor skills (coordinated small muscle movements in the hands, wrists, and fingers) and hand-eye coordination (the use of the eyes to guide movements). Actions, like grasping, reaching and releasing an object, and turning the wrist, are the types of fine motor movements that children learn in a Montessori preschool, in order to prepare them for the daily tasks of life. Fine motor development begins almost right away in babies, as they use their reflexes to grasp a rattle or your finger. As children grow, they will be able to engage in sewing and weaving activities, which develop their manual dexterity. The action of picking up objects with small tongs or tweezers develops a child’s pincer grip, which is a necessary precursor for learning how to write later on. To develop the large muscles of the body, it’s important to reach gross motor milestones – such as walking, running, jumping and climbing. Montessori preschools recognize how gross motor development presents many health benefits, boosts confidence and self-esteem, and the ability to assess risk. That’s why Montessori preschools provide many activities that build muscle memory, creative movement, and motor planning. In a Montessori preschool, one of the main focuses of the curriculum is on refining all of the child’s senses including visual, tactile, thermic, auditory, baric, stereognostic, olfactory and gustatory. The purpose of this is for the child to gain a sense of order by making clear and conscious classifications of her environment through the senses. For example, children learn to sort tablets by slight differences in color and shade, which is done in order to sharpen their visual perception and sense of order. They also learn to sort fabrics by touch, thus enhancing the child’s tactile sense. 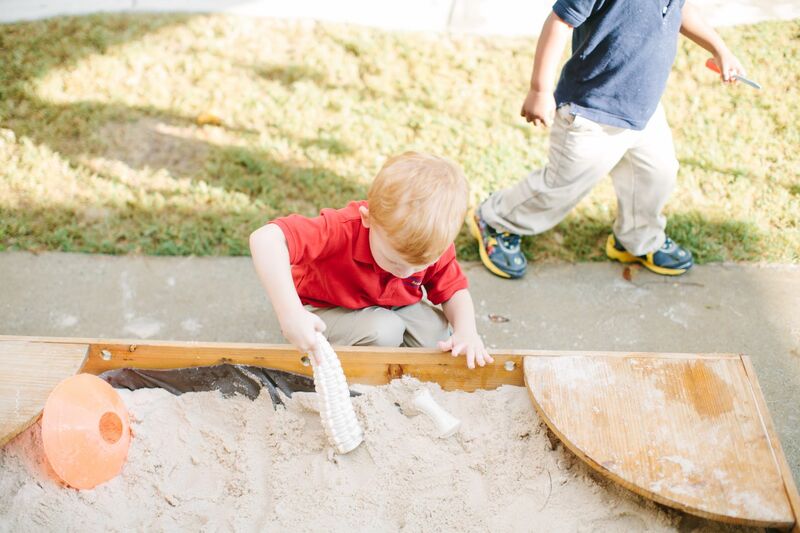 At Montessori Academy at Sharon Springs, we provide a beautiful preschool environment filled with practical life materials to develop fine motor skills and hand-eye coordination. We encourage the exploration of the senses through music and movement accompanied by freedom of choice. Our toddlers and primary children have the opportunity to jump around, balance, crawl, and skip to enhance gross motor skills. Our primary students engage in many sensorial activities in order to begin understanding the world around them during these formative years.